St. Marys River at Mission Point, June 28, 2007. 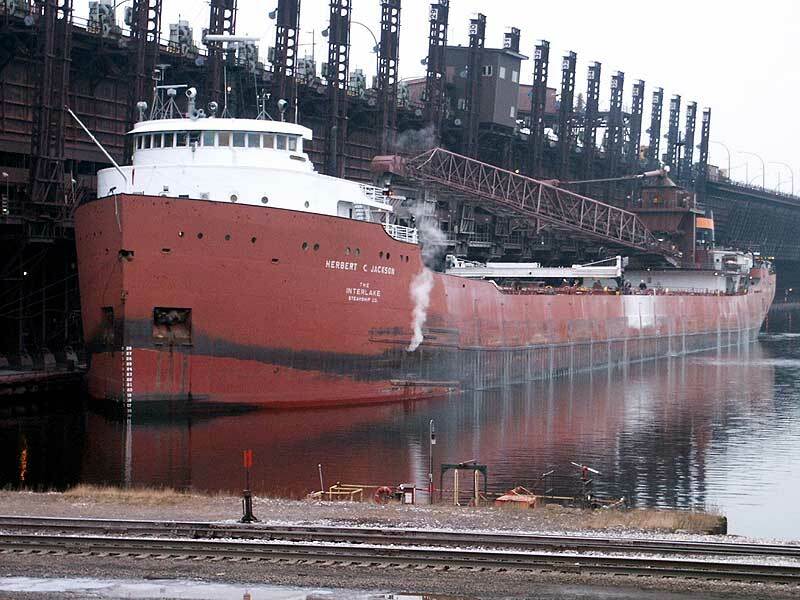 On February 20, 1959; the Great Lakes Engineering Works, River Rouge (Detroit), MI side-launched their new hull # 302 into the Rouge River, the new hull becoming the heaviest vessel ever side-launched by the shipyard. 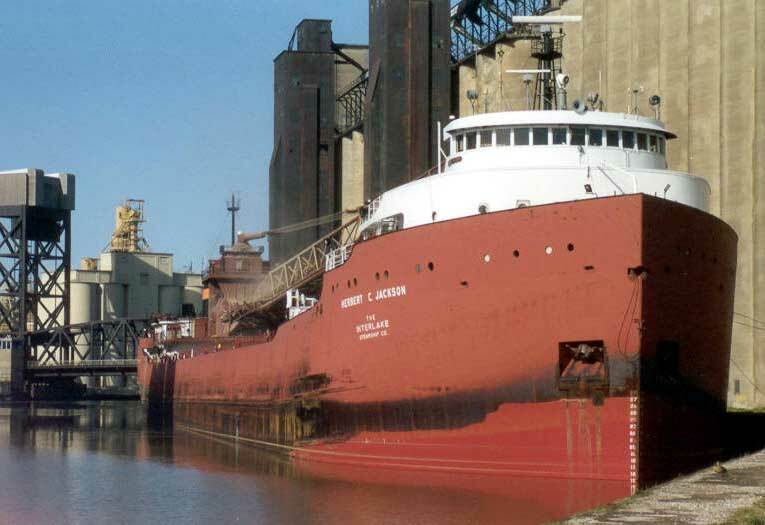 Christened the Herbert C. Jackson for owners Interlake Steamship Co. (managed by and a subsidiary of Pickands Mather Co.), Cleveland, OH; the new Great Lakes bulk carrier was to be the second last ship built by this shipyard before it was permanently closed. 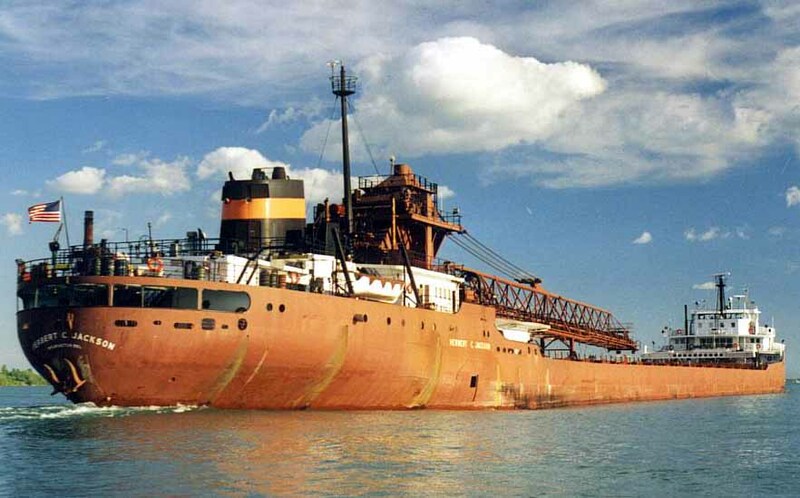 The last ship built at Great Lakes Engineering Works was Bethlehem Steel's Arthur B. Homer launched September 7, 1959; entering service April 20, 1960. 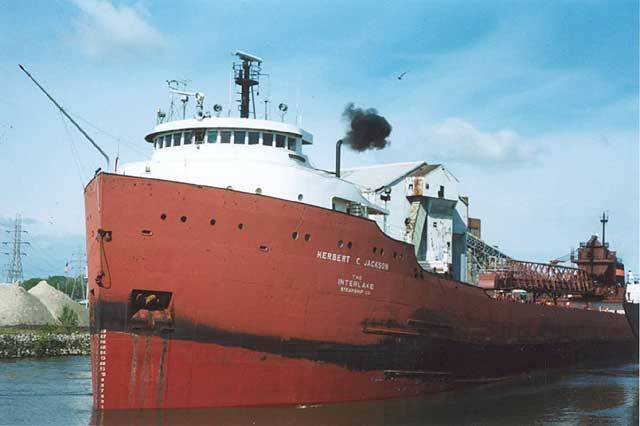 The new Herbert C. Jackson was built to Interlake Steamship's order and entered service on May 14, 1959. 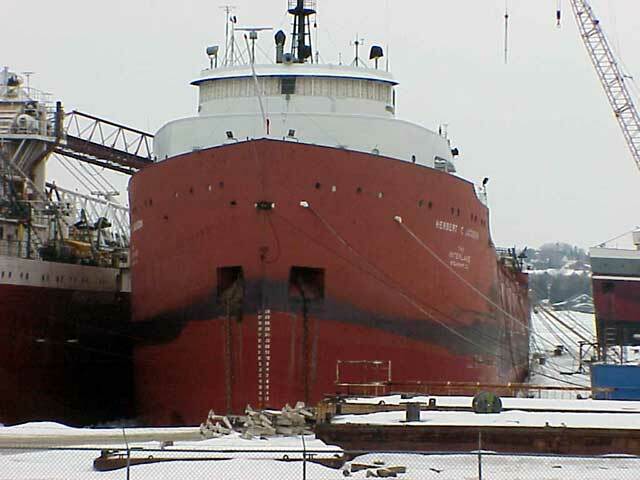 The bulk carrier's namesake, Mr. Herbert Cooper Jackson, was born in Cleveland on March 27, 1894 and joined Pickands Mather & Company in 1916. He became a partner of the firm in 1942 and a managing partner from 1955 through 1960. Mr. Cooper was then elected executive vice-president of the firm in 1960 retaining that position until he retired in December of 1962 after having been with Pickands Mather for 46 years. He remained a director of the firm until 1965 and died in Cleveland on December 1, 1981. 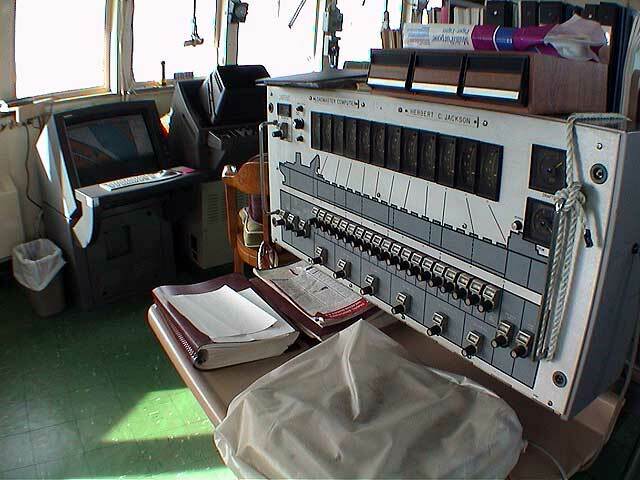 The Herbert C. Jackson is powered by a General Electric 6,600 s.h.p. cross-compound steam turbine engine consisting of a high and low pressure turbine with 2 Combustion Engineering heavy fuel oil fired water tube boilers. These boilers were initially coal-fired but were automated and converted to oil during the 1974-75 winter lay-up at Defoe Shipbuilding, Bay City, MI. 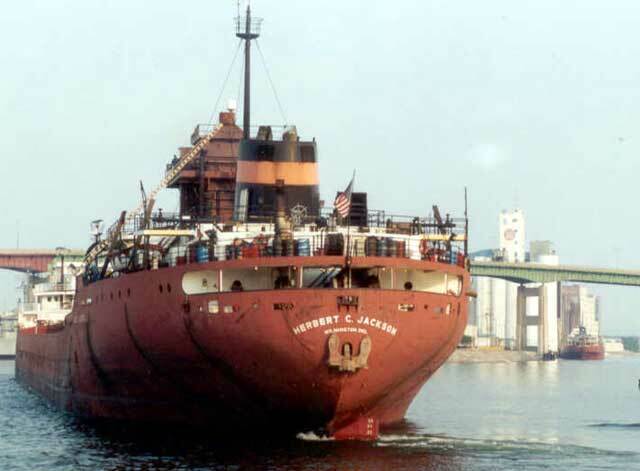 As originally built, the Herbert C. Jackson could carry 24,400 tons (24,792 mt) in 4 holds serviced by 20 hatches at a mid-summer draft of 26' 10.5" (8.19m) and 23,800 tons (24,182 mt) at the old Seaway draft of 26' (7.92m). 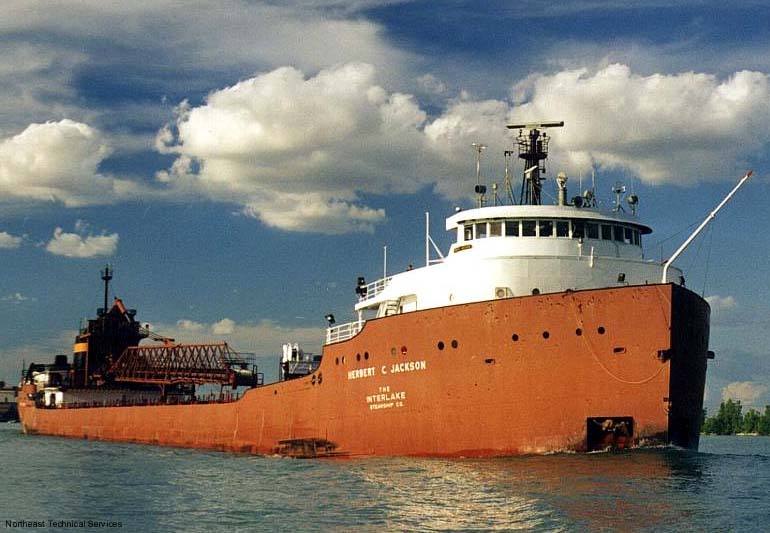 The Herbert C. Jackson was converted to a self-unloader by Defoe Shipbuilding receiving her stern-mounted 250' (76.2m) discharge boom in 1975. With these conversions completed, her tonnage figures changed slightly. 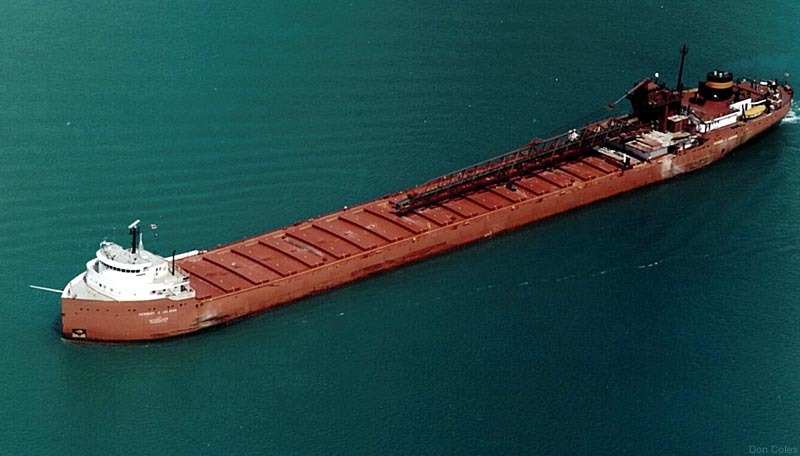 The Herbert C. Jackson can now carry 24,800 tons (25,198.4 mt) at a mid-summer draft of 27' 8.5" (8.45m) in her 4 holds now serviced by 19 hatches and approximately 22,730 tons (23,095 mt) at the new Seaway draft of 26' 06" (8.08m). She is equipped with both bow and stern thrusters. 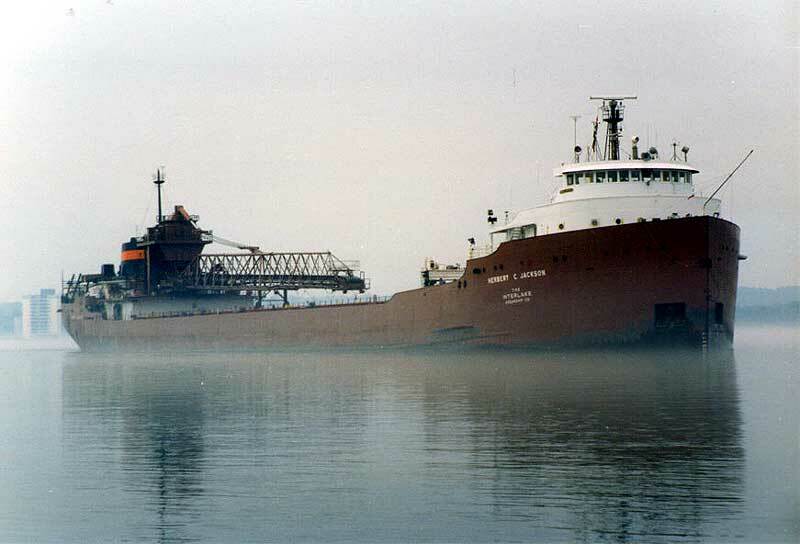 Much of the Herbert C. Jackson's first season was spent transiting the then new St. Lawrence Seaway system for Labrador ore due to a strike on the Great Lakes. 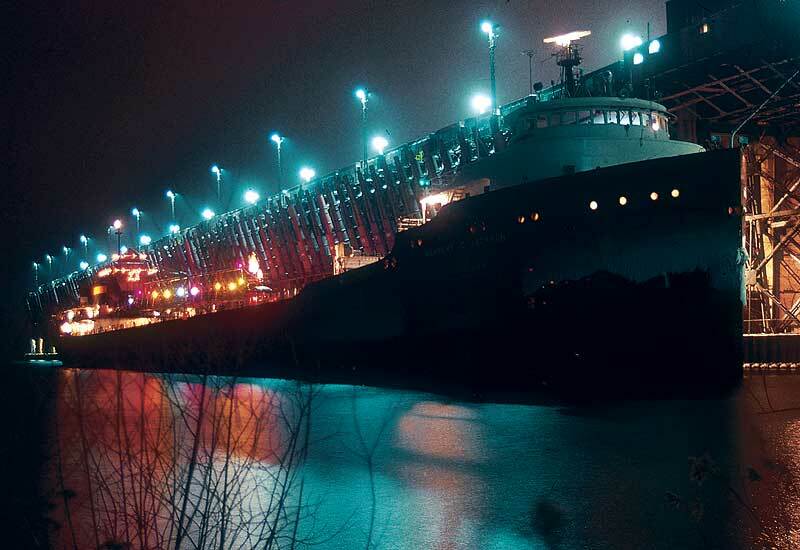 In December of 1970, over 50 Christmas trees were loaded on board at a Lake Superior port bound for Cleveland for furtherance to the White House in Washington, DC. 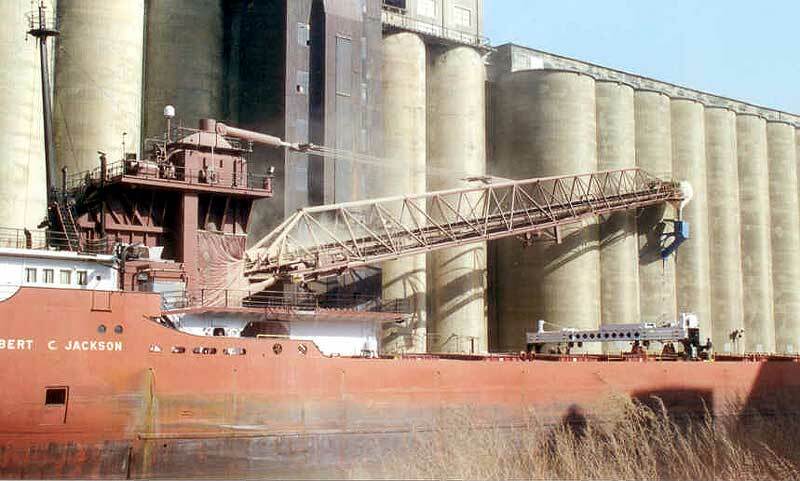 Further versatility was illustrated in 1982 when the bulk carrier carried a split load of salt from Windsor, ON and stone from Stoneport, MI for unloading at Duluth then loading ore at Taconite Harbor. 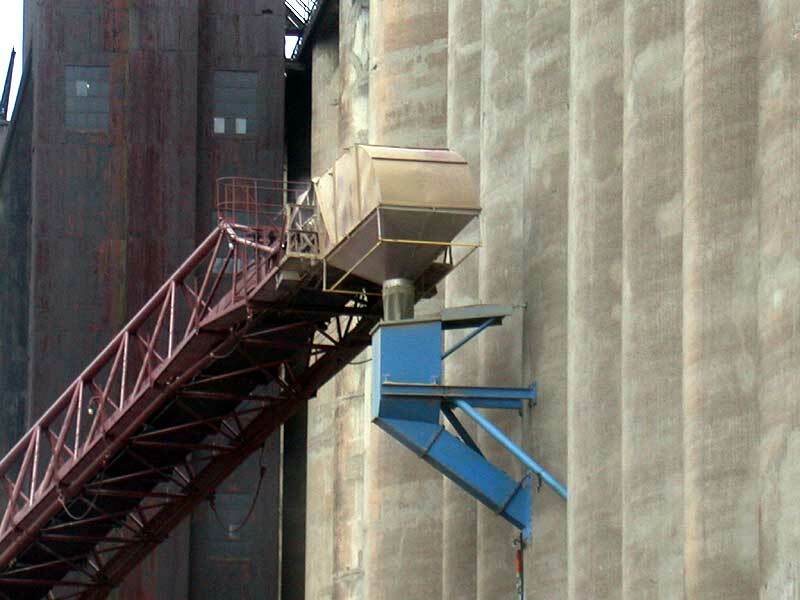 During the 1985 - 86 winter lay-up, the self-unloader's holds were lined with polymer sheets to facilitate the efficient unloading of a variety of cargoes; an expensive update that increased the versatility of the carrier. 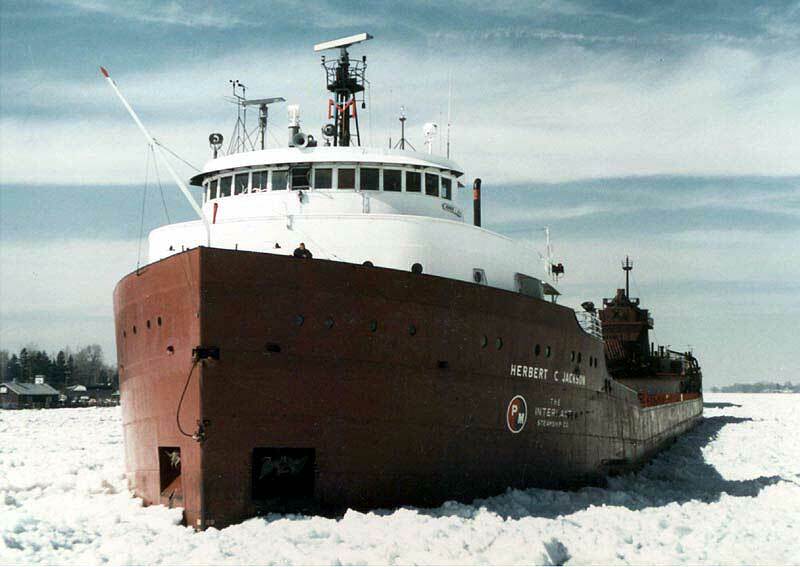 October 15, 1988 saw the Herbert C. Jackson depart the Fraser Shipyard, Superior, WI with the newly installed 1,000 h.p. 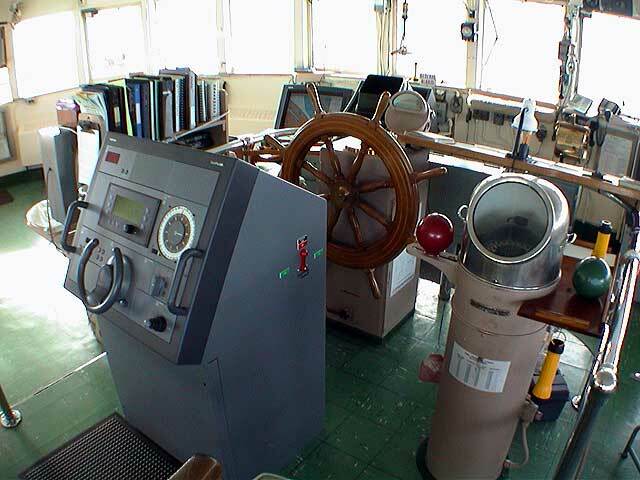 (746 kW) bow thruster engine obtained from the idled John Sherwin. The bow thruster engine from the Jackson was placed in one of the John Sherwin's holds to be repaired at a later date. The Jackson's 1,000 h.p. 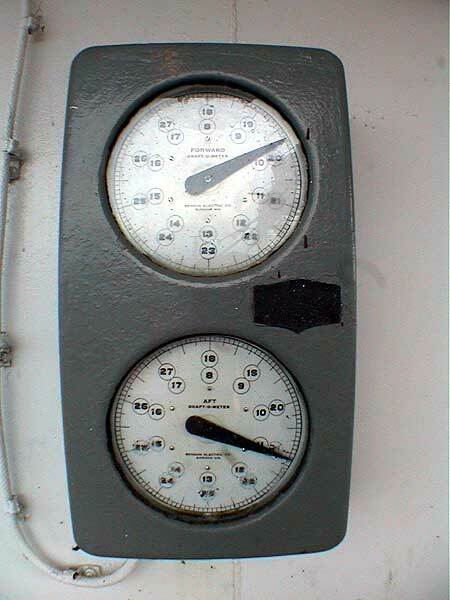 (746 kW) stern thruster was installed during the winter lay-up of 1997 - 98 at Fraser Shipyard. 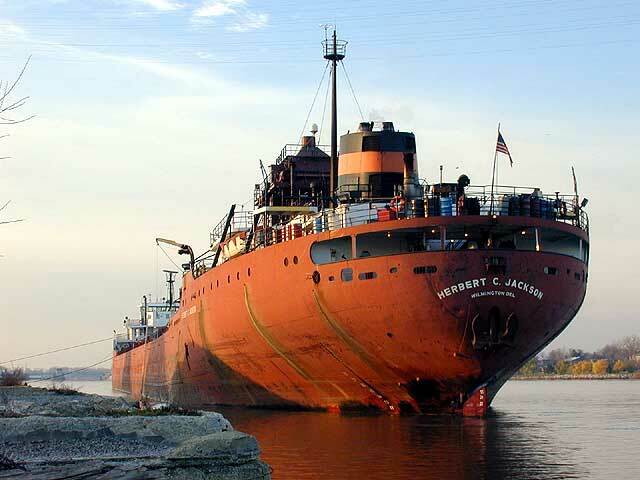 As with just about all other Great Lakes boats, the Herbert C. Jackson has had a few minor incidents over the years forming a part of this lake boat's history. 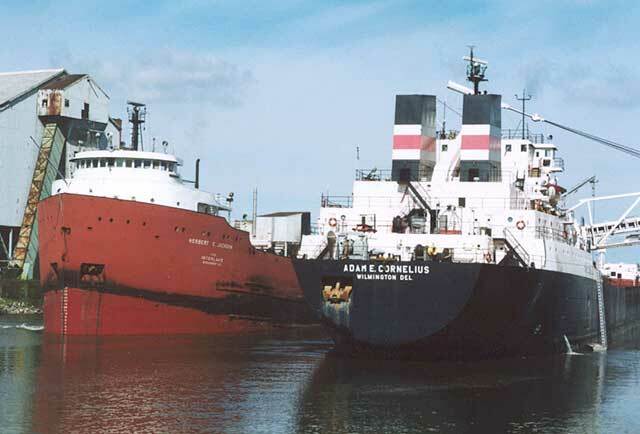 Some of these include a grounding at the dock at Stoneport, MI on March 30, 1990 causing damage to bottom plating under the bow thruster, the # 1 port ballast tank, and a fracture in the forepeak. 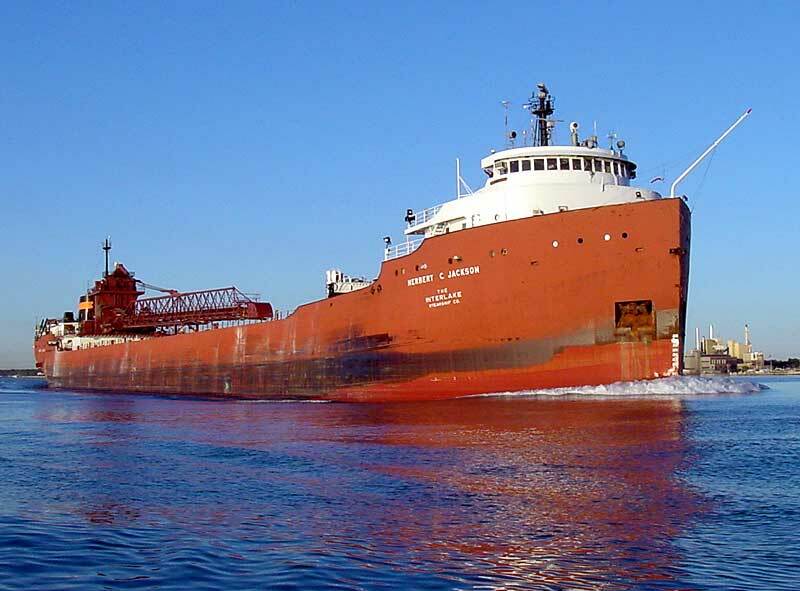 After temporary repairs were completed, the vessel was allowed to proceed to Indiana Harbor to offload, then go to Sturgeon Bay, WI for repair. 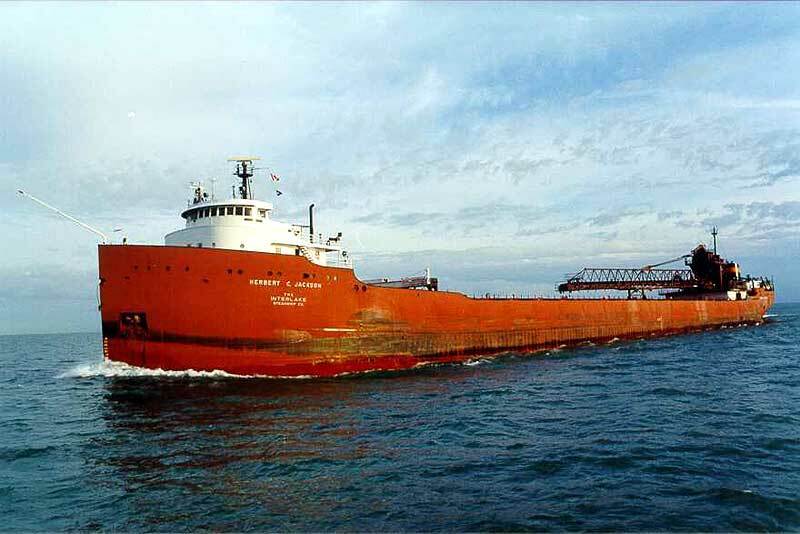 On April 4, 1995; the Jackson allided with the # 1 Pinney Dock at Cleveland causing damage to the # 1 starboard ballast tank. Repairs were completed at Toledo, OH. 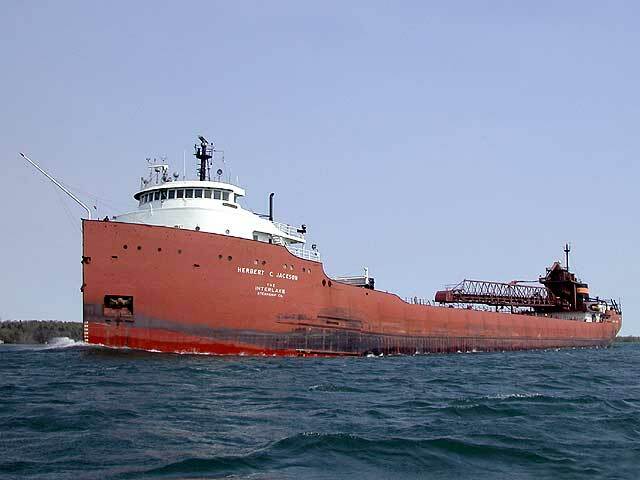 Then, on October 8, 1997; the self-unloader hit an underwater obstruction at the LTV Steel berth in Chicago receiving intermittent side shell tears in way of the #6 starboard ballast tank. 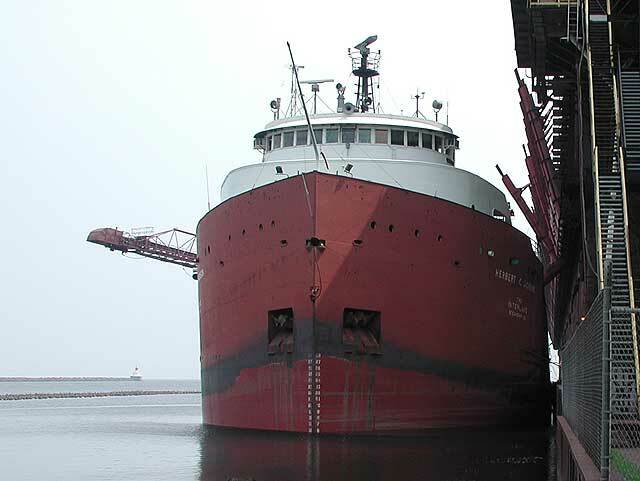 She was allowed to proceed after temporary repairs were completed at Chicago. 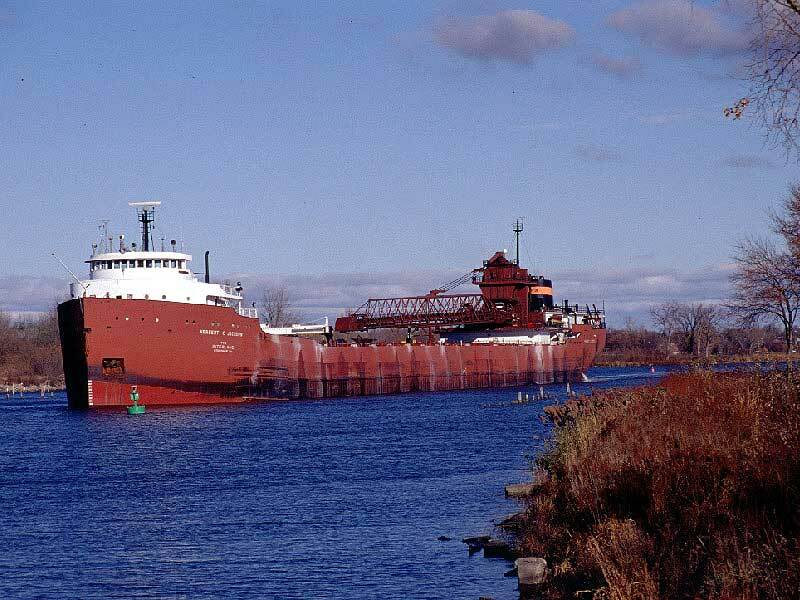 Further, on October 25, 1999; the Jackson became stuck on the muddy bottom of the Saginaw River shipping channel after high winds rapidly lowered the water level. After about an hour, she was able to free herself with no resulting damage and continue her voyage. 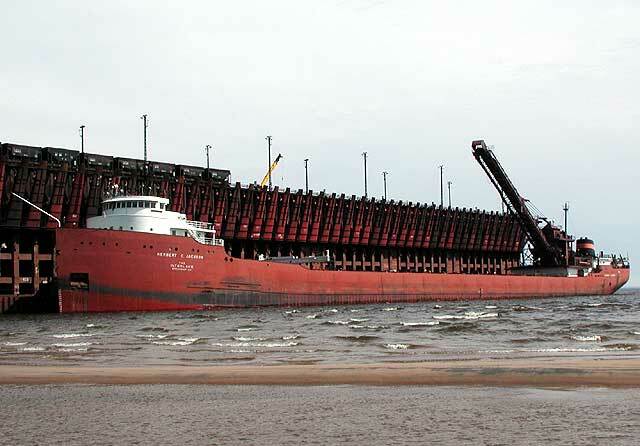 On March 26, 2000; another grounding occurred on a sandbar while entering the Grand Haven, MI harbor with a load of coal. The reported depth was 19.5' (5.94m). After half an hour, she was able to free herself with no reported damage and proceed to the unloading dock. 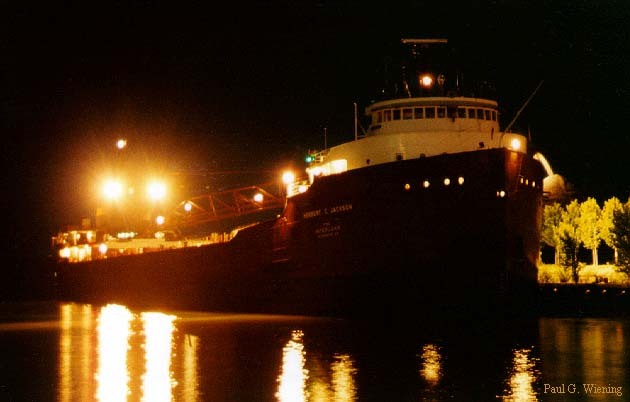 Also an important and integral part of the Herbert C. Jackson's history is the rescue of 2 boaters on October 1, 1986 who had been adrift in Lake Michigan for 80 hours. Over time, events such as this rescue often go unnoticed and/or unreported in a vessel's history; in many cases only being recorded in the ship's log with little other notice made of the event. 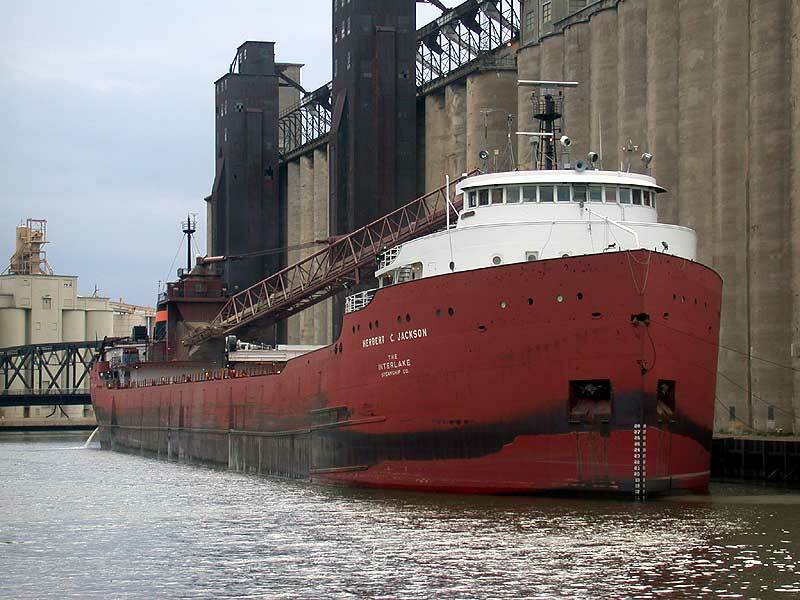 April 28, 2001 saw the Herbert C. Jackson arrive at Buffalo, NY from Superior, WI with the vessel's first load of grain for that port; becoming the largest vessel (by tonnage) to transit the Buffalo River. 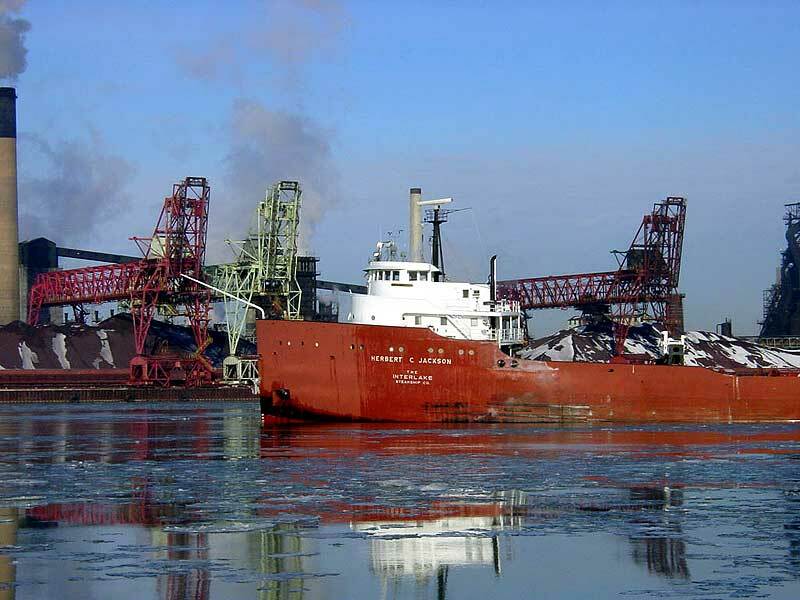 On June 30, 2004; the Herbert C. Jackson became the last coal boat to unload at Port Washington, WI due to the power plant being converted from coal to natural gas. 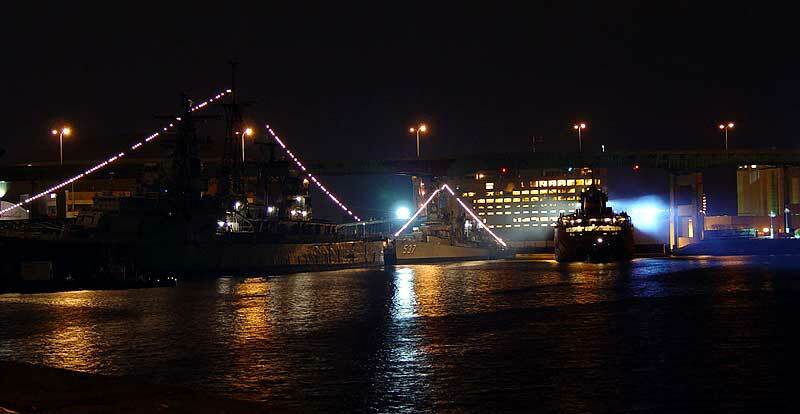 Much was made of this event with the Jackson flying her flags and opening for public tours. 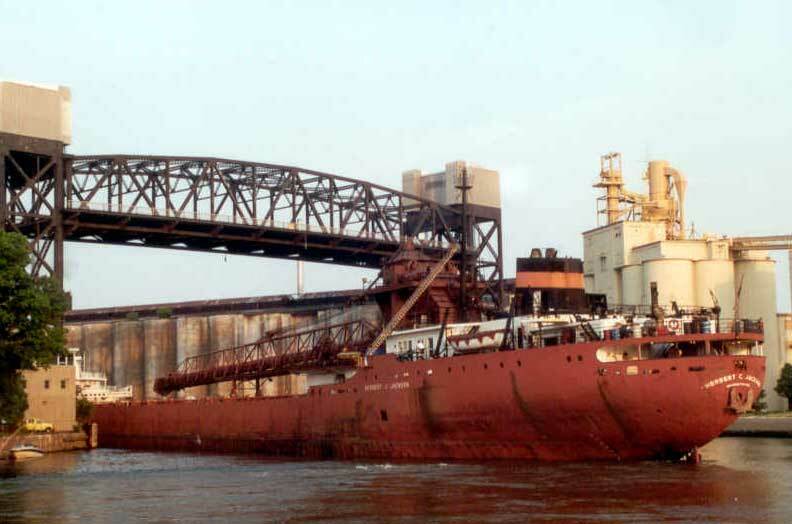 On August 1, 2006, the Herbert C. Jackson was forced to stop on the Rouge River when, due to the extreme heat of the day, the Dix Street bridge refused to open. 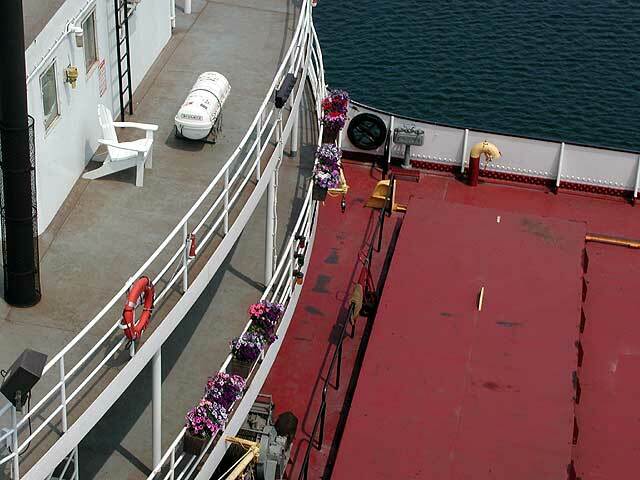 Using some ingenuity, the vessel's crew rigged up a hose and crept closer to the bridge. Under the supervision of the bridge operator, the crew began to pour cool water onto the heat swollen metal of the bridge. 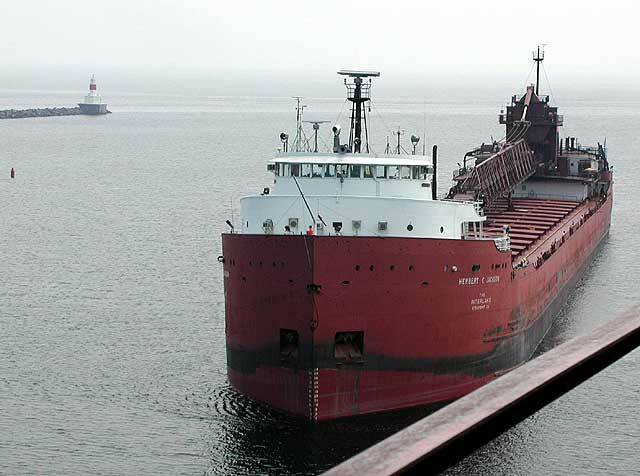 The operation was a success, the cooling process allowing the bridge to open and the self-unloader to continue her trip up the river to Rouge Steel to unload her cargo of taconite pellets from Marquette, MI. 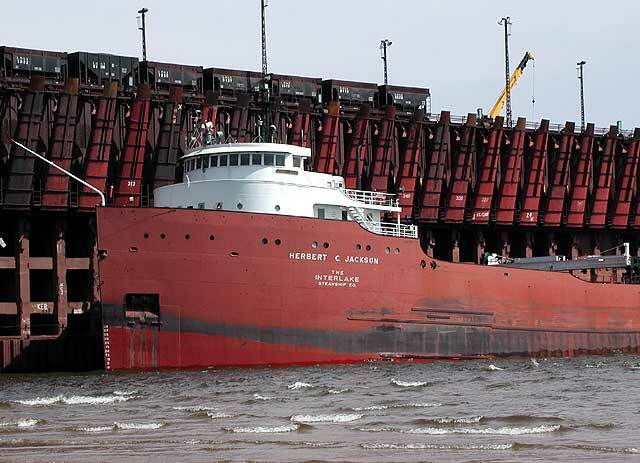 Though being the smallest powered boat in the Interlake Steamship fleet, the Herbert C. Jackson continues to fit out each year; her various upgrades through the years making this self-unloader a valuable asset. 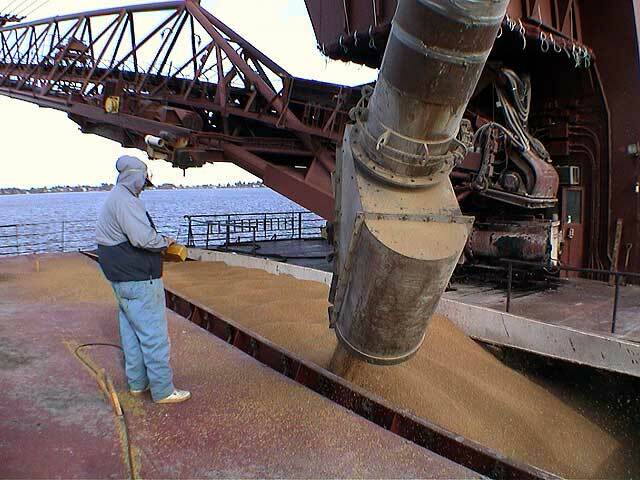 Varied cargoes such as grain, coal, stone, and iron ore (taconite) continue to keep Herbert C. Jackson engaged season after season. 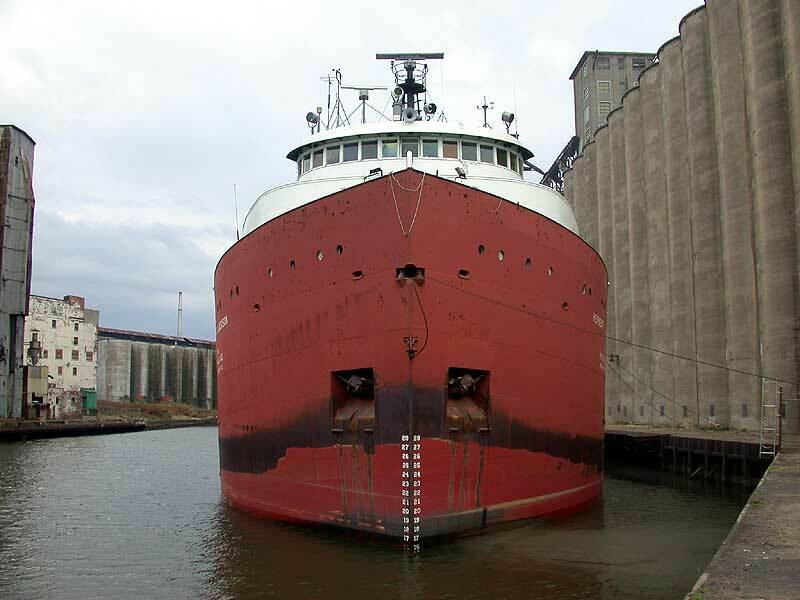 Her aging steam turbine plant was replaced by two MaK - 6M32E diesel engines at Fraser Shipyards, Superior, Wis., during the early part of 2016. These engines give the ship enhanced propulsion capabilities and reliability. In addition, the ship has been outfitted with a twin-input, single-output Lufkin gear box with twin pto shaft generators, a Schottel controllable-pitch propeller system and Gesab exhaust gas economizers along with an auxiliary boiler. 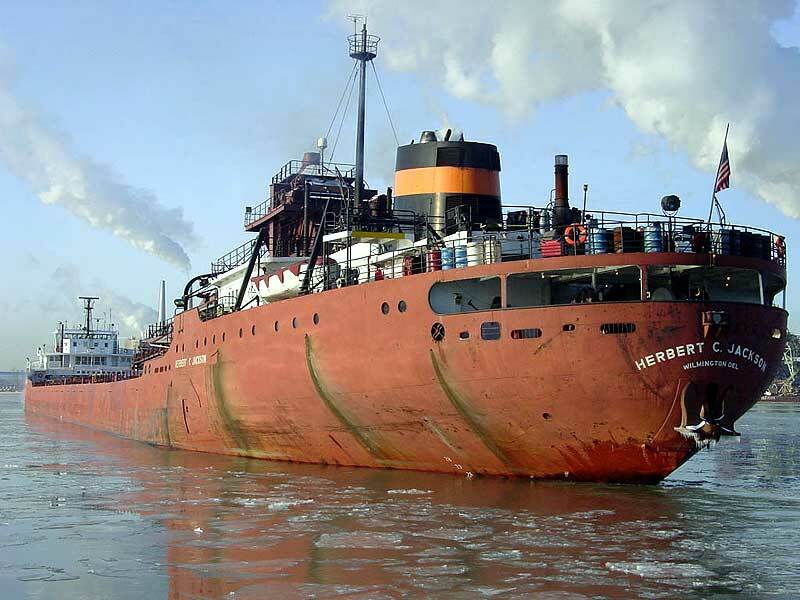 The economizers allow the ship to harness the waste heat and energy from the main engine exhaust and produce �free steam� to heat the accommodations and for heating various auxiliary systems and fuel oil services. 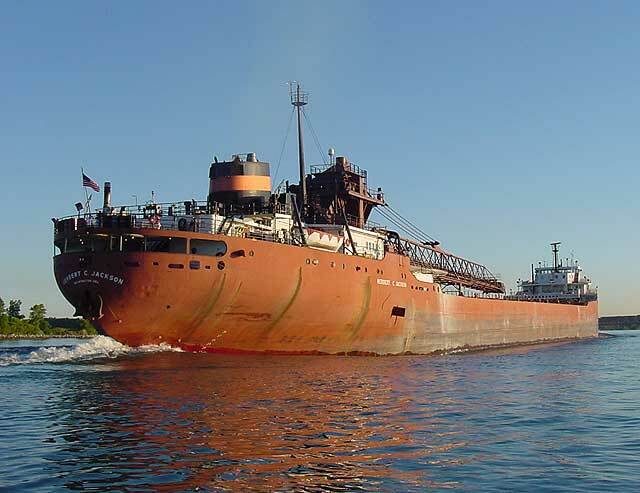 The repowering is estimated to reduce the ship�s emissions of particulate matter by 35 percent, carbon dioxide by 57 percent and sulfur oxides (SOx) by 63 percent. 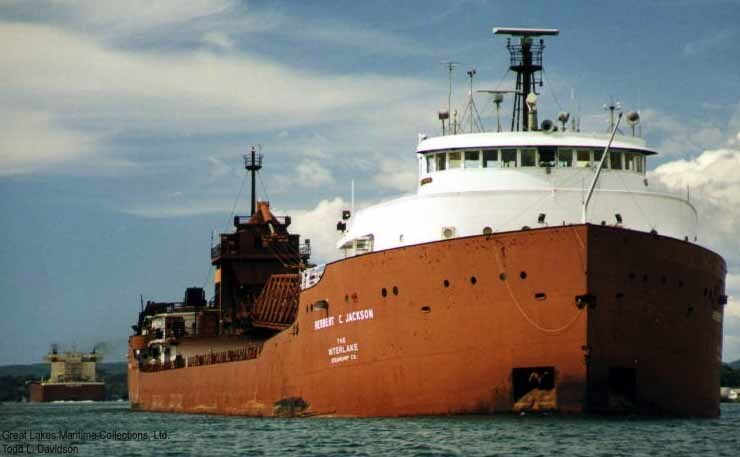 As the last steam-powered ship in Interlake's fleet, the conversion of the Jackson represented the final phase of the company�s decade-long modernization program to create the most efficient, reliable and environmentally responsible fleet on the Great Lakes. St. Clair River, Aug. 31, 2007. 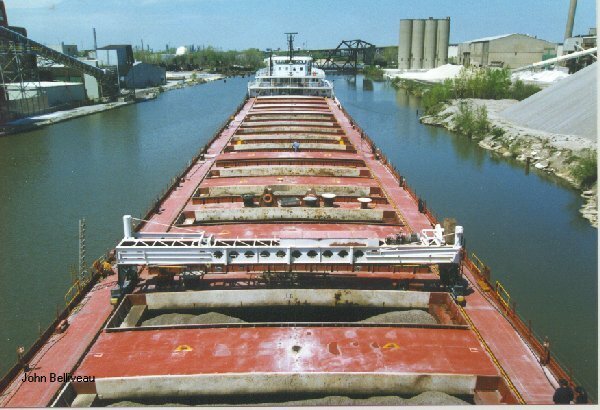 Being towed backward down the Buffalo River after delivering to Buffalo's ADM Standard Elevator, Sept. 16, 2007. After a storm at Marquette, June 20, 2007. 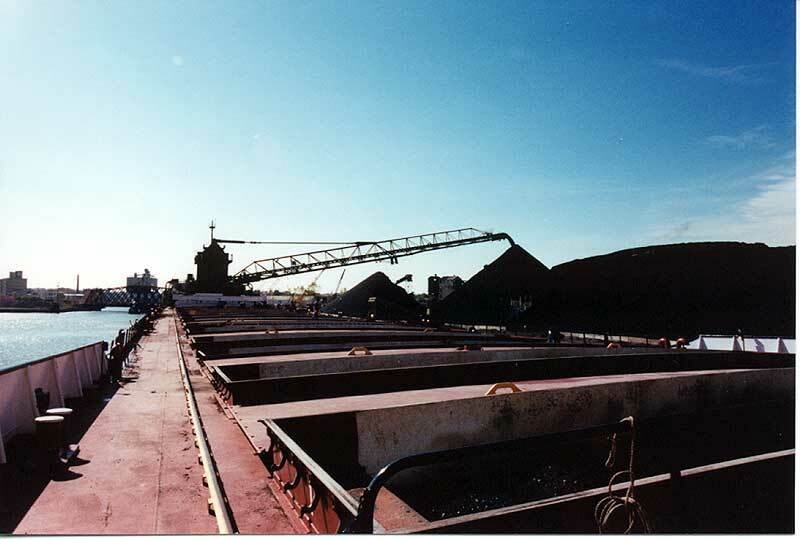 At Fairport, OH preparing to load, July 30, 2007. 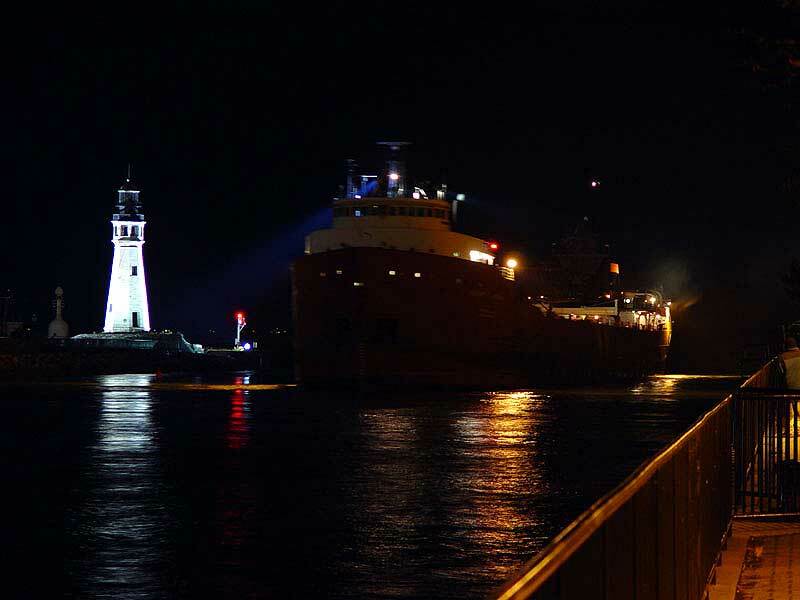 Coming off of Lake Huron at Port Huron, May 6, 2007. On the Rouge River, May 27, 2007. Upbound the St. Clair River, June 18, 2007. Rouge River, stopped at the Dix St. bridge, waiting for the bridge to open on a very hot Aug. 1, 2006. Hosing the bridge to cool the heat swollen metal allowing the bridge to open. Unloading at Wyandotte, July 15, 2006. Pulling away from the dock. 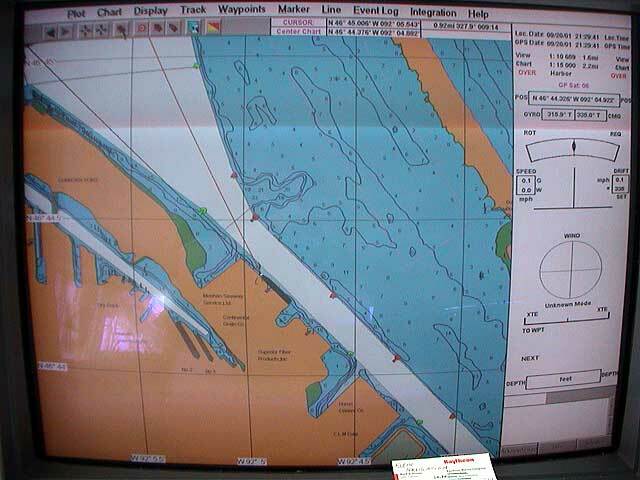 On board River Rouge, 1997. 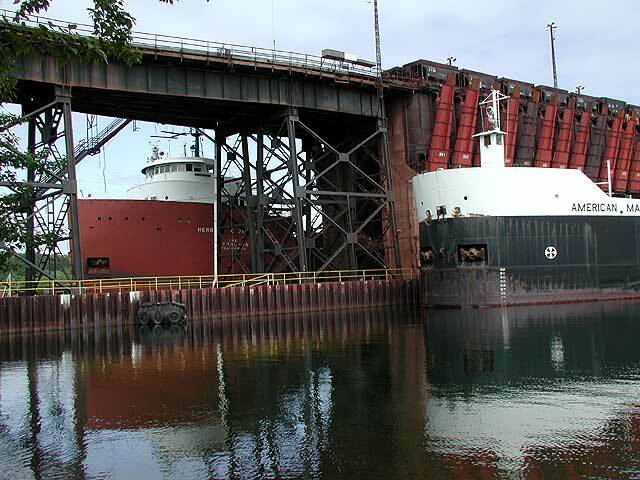 Through the ore dock at Marquette. Port Washington, WI June 30, 2004. Visitors on deck, June 30, 2004. At Grassy Island on the Detroit River, Aug. 23, 1997. 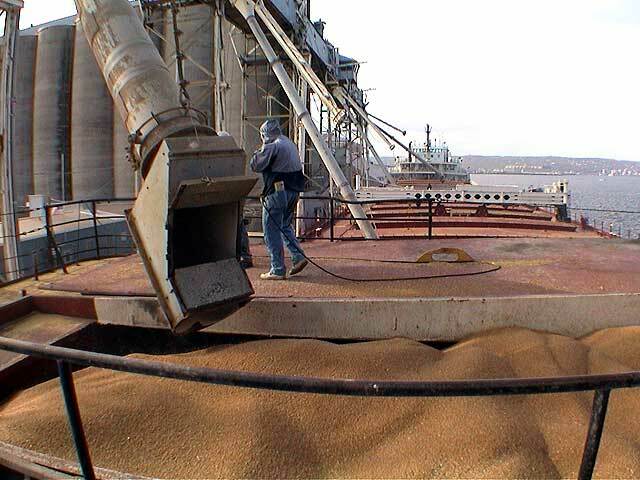 Unloading its first cargo of grain in Buffalo. 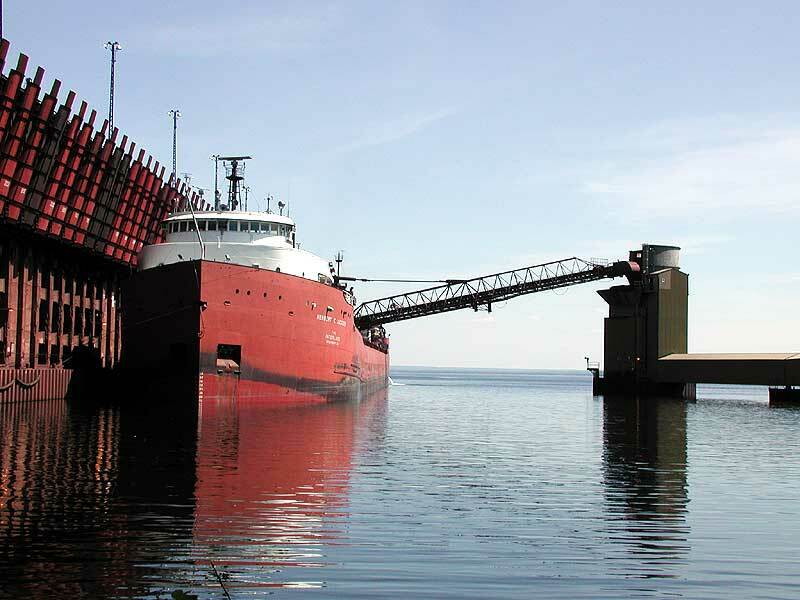 Approaching north side of ore dock Marquette. 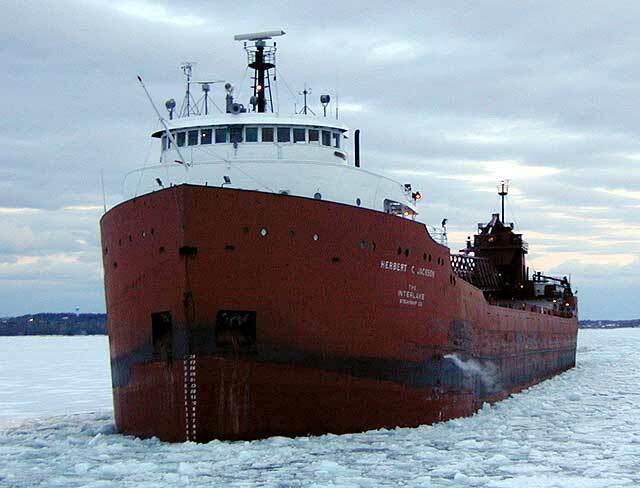 Meeting the Catherine Desgagnes on the Detroit River, 2003. 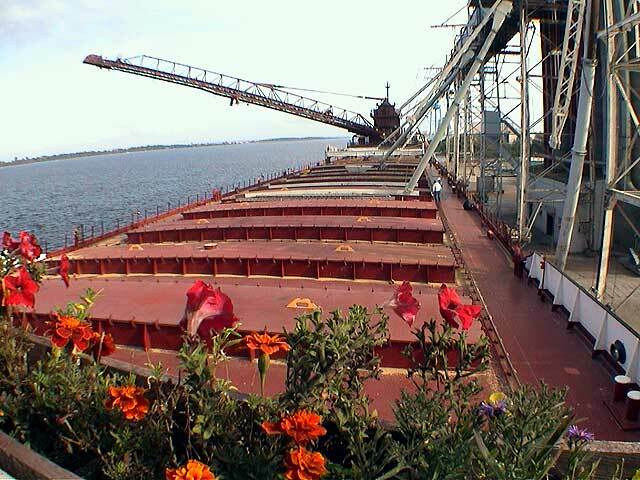 St. Marys River, Sept. 17, 2005. Arriving Marquette, Aug. 12, 2006. First boat of the 2006 season on the Rouge River, April 3, 2006. 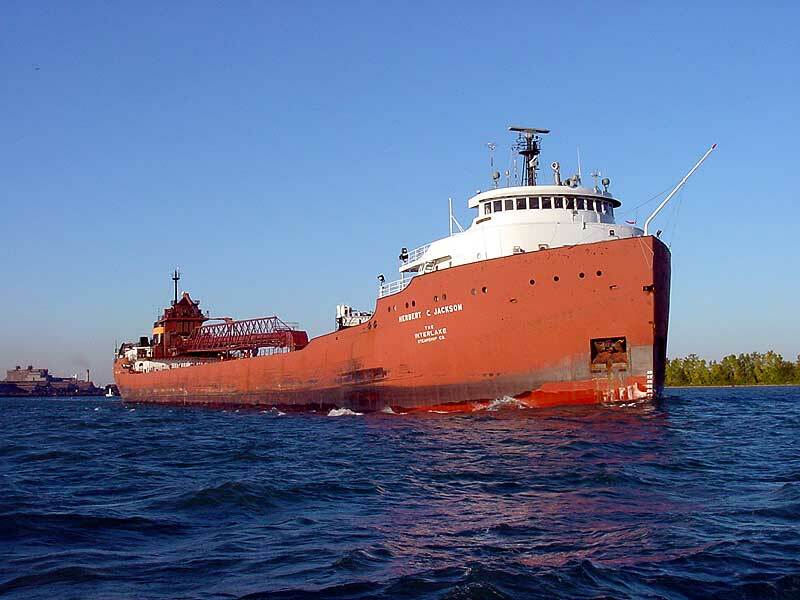 Upbound into Lake Huron, Aug. 8, 2007. Marquette, MI showing off a fresh coat of paint, Apr. 2, 2004. Detroit River, Sept. 20, 2004.